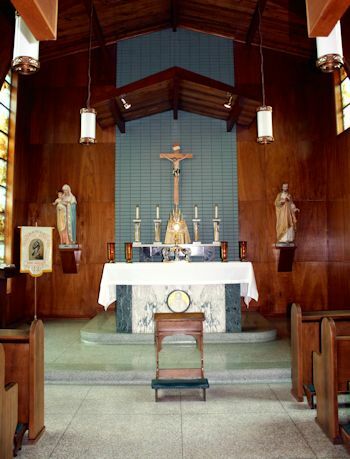 Over 240 parishioners participate in the Church of the Assumption's Perpetual Adoration Chapel, heeding the Lord's invitation to His Apostles, "Will you not watch for an hour with me". 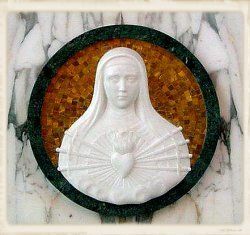 The Adoration Chapel was founded on March 25, 1993 and is located on the campus of St. John Elementary, in the chapel of the former convent, which housed the Marianite Sisters for some thirty years. 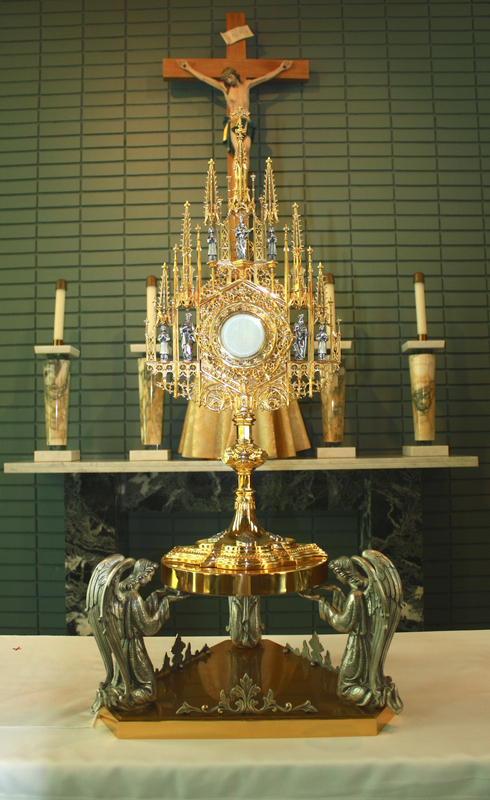 The monstrance holding the Blessed Sacrament is the focal point of the chapel. 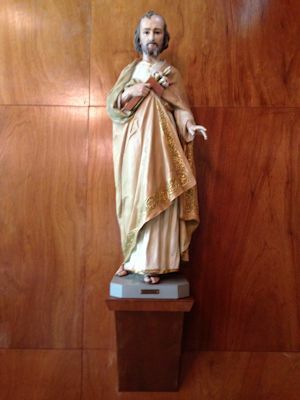 Adorning the walls of the chapel are two statues: St. Joseph and the Blessed Virgin Mary holding the Baby Jesus. 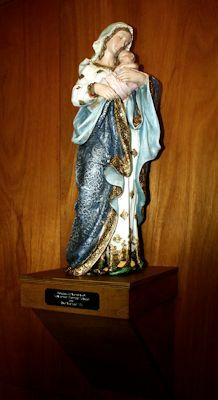 The statue of St. Joseph was donated to the chapel by the St. John Academy Class of 1947 while the Blessed Mother and Infant Jesus statue was donated by the St. John Class of 1946. 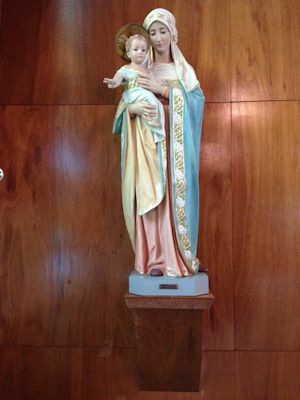 The newest addition to the Adoration Chapel is a beautiful statue of the Madonna, holding her son, the Baby Jesus. 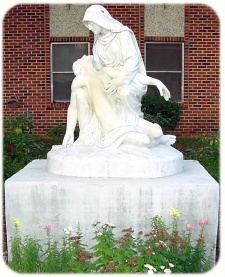 This statue was donated in memory of babies Lawrence Thomas Haydel and Rye Michael Hill. We are always in need of new adorers. Consider signing up by calling chapel coordinator, Mrs. Cora Bouton at 337-828-1429.